We’re a place of recovery for women addicted to alcohol or drugs. Through a time-tested, integrated program of healing for body and mind - women find a productive, responsible, and sober life. Without help addiction is fatal, families are destroyed, and children are damaged. At Casa de las Amigas families are rebuilt, children saved, and lives we thought were lost, are found. 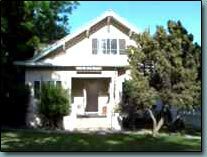 Casa De Las Amigas is a twenty four hour alcohol and drug residential treatment center for women. We emphasize the abstinence of alcohol and/or other mind altering substances and the need for physical, mental and spiritual growth in the recovery process. Casa is a voluntary 30-60-90 day intensive program with an extended six month, one year and two-year transitional program available. Casa de Las Amigas does not discriminate and will not deny services on the basis of race, creed, color, religion, national origin, sexual orientation, mental or physical disability or the inability to pay. Our woman are 18 years of age or older (or emancipated minor) referred by homeless shelters, mental health and hospital agencies, court and correctional facilities and by the Department of Public Social Services and Department of Children Family Services. Great to hear about this place. My sister is getting drug addicted. We all of us are vary tension about her. I need to contact with Casa De Las Amigas. This has been increasing throughout the world especially in the Latin American countries. The only source of income has been ruining due to the natural calamities. The essaywriteronline.com has been trying their part to give ontime help whenever needed.